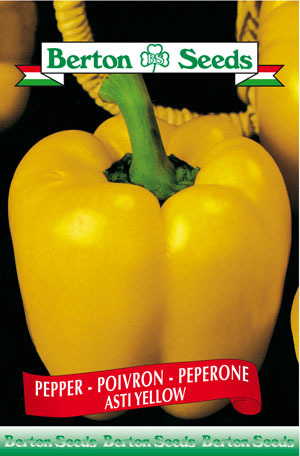 This pepper measures 4 inches by 5 1/2 inches and has a very thick, yellow flesh at maturity. Sowing instructions: Plant seeds 0.5 inches deep indoors from late January-February. Transplant seedlings outdoors from late May-June spacing them 18-24 inches apart in rows spaced 36 inches apart. Harvest from August-September.